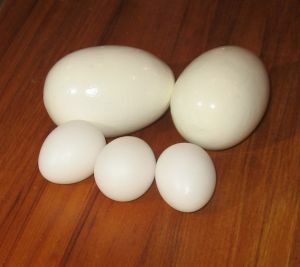 These eggs are full natural size. The china egg have a rougher texture. The painted eggs are wood, painted over, for a very smooth finish, and are most consistent to real eggs.